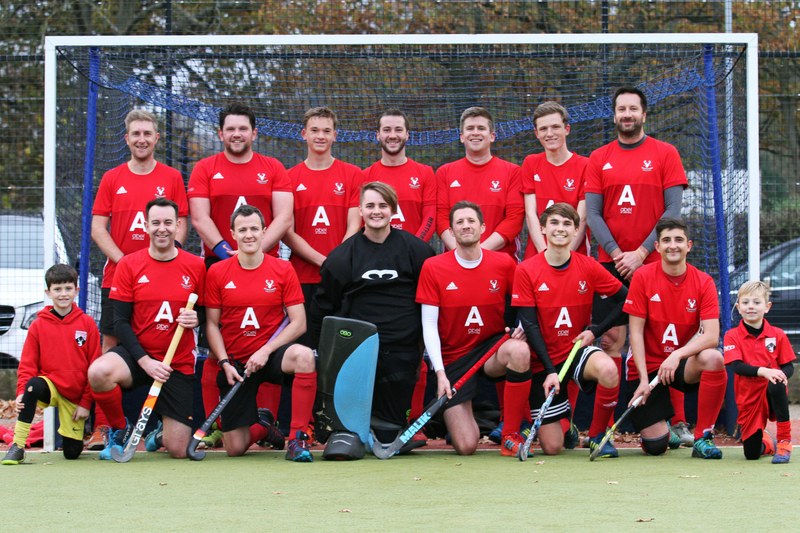 Hertford continued their good run of form with a 1-4 win away at Ipswich East Suffolk 2nds on Saturday thanks to a blistering first half showing. The away team made four changes from the previous week with Darren Norman returning up front for Ben van Rooyen, vice-captain Jamie O'Sullivan in defence in place of Luke Brown and with midfield duo James Rollins and player-coach Nick Downer absent, Mike Branford and Marcus Stirling were drafted in for their debut 1st team appearances of the season. The contest started evenly in the sunny but brisk conditions, with the sides feeling each other out in midfield. I-ES created some danger down Hertford's left flank as a forward drove to the byline, but a combination of Tom Smith in goal and Ian Dunnett tracking back cleared up the danger. The hosts tried the same tactic of attacking down their right wing a few minutes later, but by now Taylor Weeks at left-back had the measure of his man and was ably picking off any attempted ball forwards. Winning the ball, Weeks cleverly fed Scott Apps down the line, who in turn played a pacey reverse-stick ball down the line to Norman. Needing no invitation to drive at the circle, Norman committed his man and played a neat one-two with Arthur Twyning, quickly releasing a shot to wrong foot the keeper, rolling in the opener at the near-post. Shell-shocked by the speed and clinical nature of Hertford's break, the home side hadn't regained any poise before is was two-nil. Working the ball around the right hand side this time, Apps received the ball in the D and made very sure of winning the set piece, before dispatching it himself with a trademark drag-flick for his eighth in only five appearances. I-ES did force their way back into the game from a short corner of their own, which the Stags felt unlucky to concede from a deflected ball which seemed to be going away from danger but was considered too close to the attacker for the umpire's liking. The set piece was switched right at the top of the circle and finished low under Smith's right arm before he could drop to the ground. I-ES made the mistake of trying to attack again, once more getting picked off by man-of-the-match Weeks, who released Stirling, who turned smartly in midfield, and played a raking through-ball to find the run of Twyning. Jinking into the D as is his wont, the teenager was unceremoniously halted to win another penalty corner. A tactical switch saw a change of roles for those around the circle, with the routine setting up Luke Camilleri who had all the time he needed to pick his spot and flick hard into the net from nine yards out for his second in as many games. Going in for the kill Hertford made it four before the break. Still yet to learn I-ES went down their right once more, and once more paid the price. This time Archie Akers found space on the left wing, span his man and fired the ball into the circle. Dunnett nipped in front of the defender waiting to receive the cross and managed a first-time one-handed reverse stick sweep across goal to where Norman had ghosted in ahead of his marker. Taking one touch to control, and giving the net minder 'the eyes', Norman slid his shot the other way for his fourth of the campaign. The home side were obviously determined to minimise the damage in the 2nd half, playing the ball long and going more direct at the earliest opportunity, rather than trying to risk taking on the Hertford full-backs. This made for a turgid and forgettable 35 minutes. The Stags were guilty of dropping to their opponent's level. Also going too direct at times, failing to recognise the runs of their wide players and not showing the patience of the first half. With I-ES crowding their own circle, preventing many clear chances on goal, and a severe lack of composure being shown by their forwards at the other end - with Smith in fine fettle when they did muster a shot on target - the goalless second half was probably a fair reflection of the fall off in standard from the first half. The win maintains Hertford's third place in Division 2-South, trailing Bedford 2nds by one on goal difference. Hertford will be looking to impress again when they host Colchester at the Simon Balle ground this Saturday. Hertford - Tom Smith; Elliot Barling, Jamie O'Sullivan, Ben Tootell, Taylor Weeks; Ian Dunnett, Luke Camilleri, Marcus Stirling; Darren Norman, Scott Apps, Arthur Twyning. Subs - Michael Branford, Archie Akers.